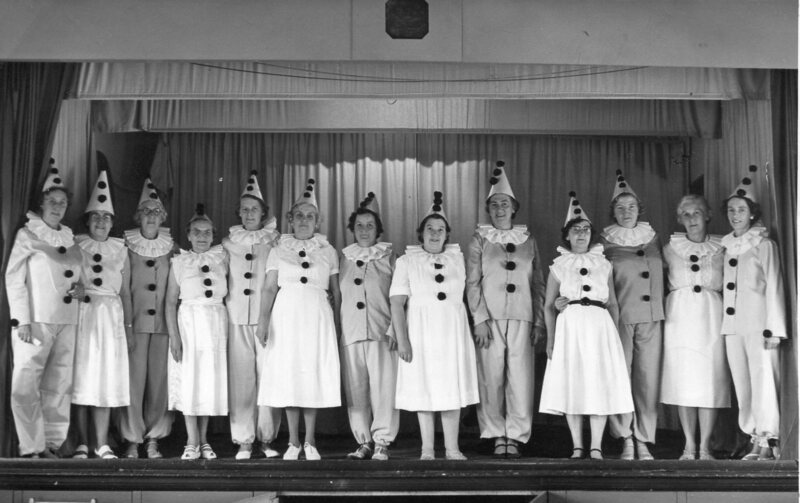 Pierrots – Hand written on back of this photo it says ‘St Alban’s Church Hall after we had raised stage and built store underneath.’ This was the church hall at Forest Town and it is possible that Muriel Baylis is on the photograph. Photo taken by LYLE, Photographer, Handley Arcade Mansfield Notts Phone 1646. Does anyone recall this photographer?